Thread by @rising_serpent: "1. "Fellowship of the Orcs" Some time ago I wrote a thread about subterranean creatures at whose behest DC politics continued unabated despi […]"
1. "Fellowship of the Orcs" Some time ago I wrote a thread about subterranean creatures at whose behest DC politics continued unabated despite untold depravities being committed by political perpetrators. This is another such effort. 7. Akin Gump hired former White House liaison to the Senate, Ed Pagano, as partner in its public law and policy practice in 2014. Pagano spent two years as an assistant to President Obama, working on judicial nominations, gun control, immigration reform. 11. Glenn Simpson knew about Paul Manafort and pitched this idea to Perkins Coie, all the while Tony Podesta, Manafort and Yanukovych were all connected. 12. Preston Burton, Wolfe’s lawyer, left Orrick, Herrington & Sutcliffe In 2011 to start his own firm with Gregory Poe. Their new firm was called Poe & Burton. In 2016, Preston joined BuckleySandler LLP in their DC office. 15. On 3/3/16 Michael Zeldin SC at Buckley Sandler wrote to John Podesta “This is really good. I hope my comments helped shape this message” discussing how Hillary’s speeches could use “make America whole again"
21. Judge Michael Mosman, who asked Preston Burton to be amicus on FISC is a GW Bush appointee. What was his role in the FISA/FISC surveillance warrants on the Trump administration? Its not a rhetorical question, I don't know the answer. You do some digging here. 23. For days leading up to ABC's exclusive interview with Palfrey, reporter Brian Ross teased Palfrey's clientele included White House officials, lobbyists, and Pentagon, FBI, and IRS employees, as well as prominent lawyers. 24. ABC backed away from naming names, and Palfrey accused the network of bowing to government pressure by. In the end, the network revealed most prominent officials on Palfrey's client list, including Republican senator David Vitter, Deputy Secretary of State Randall Tobias. 27. To recap: Both lawyers/law firms repressing Wolfe & Watkins have deep connections to Obama, Clinton and one to Ukraine/Russia. One has expertise in FISA. 30. I must now lapse into my customary languor that inevitably follows any exertion. 1. Between 2008 and 2016, Democrats came upon the profound realization that the country’s growing Latino population gave the party an electoral edge. Even more important, they voted Democrat more reliably than whites. You can't put a price on that. 2. Democrats changed strategy. They didn’t need to reassure white voters skeptical of immigration as long as the Latino base could be cultivated. Identity politics and a pivot in Democrat stance on illegal immigration became the fulcrum catapulting Dems to the party of today. 3. If you only rewind back a decade, you hear liberals publicly questioning immigration in ways that would progressives today and earn many a conservative widespread scorn. Dem donor gets off injecting young black men. Incidentally his state is the only one to have decriminalized volitional spread of HIV. Why would CA politicians work to pass a law that defies common sense? Is it any coincidence that the same politician, Sen. Scott Weiner, who drafted the legislation decriminalizing spread of HIV also drafted legislation allowing Hollywood bars to serve alcohol till 4 a.m.? "With bars staying open later, citizens fear SB 905 will bring out West Hollywood’s dark side, in form of drug scandals, mysterious deaths, & other issues plaguing WeHo’s gay community. Just a week ago, death of Gemmel Moore, who died of meth overdose at Dem donor Ed Buck’s ..."
Buck was investigated previously by authorities after the death of Gemmel Moore, who died of a methamphetamine overdose in Buck's home in July 2017. Moore's death was classified as an accidental. simple way. HSBC and UBS were never set up for regular banking. When I say regular banking I mean retail banking. an easy way to transfer funds overseas. #Thread: Rough translation on Rajini's recent statement on RMM activities. I'd like to clarify the false rumors stating RMM works are happening without my permission. All activities regarding RMM are happening with my knowledge & permission. Already by last year May month, I said that "I won't allow people near me who have thoughts of getting posts & earning money when I enter politics. So, those people stay away right now." Didn't say it for word-sake. We are entering politics to bring out a new political culture for a good political change. If we've to do politics like others, why should we enter politics? 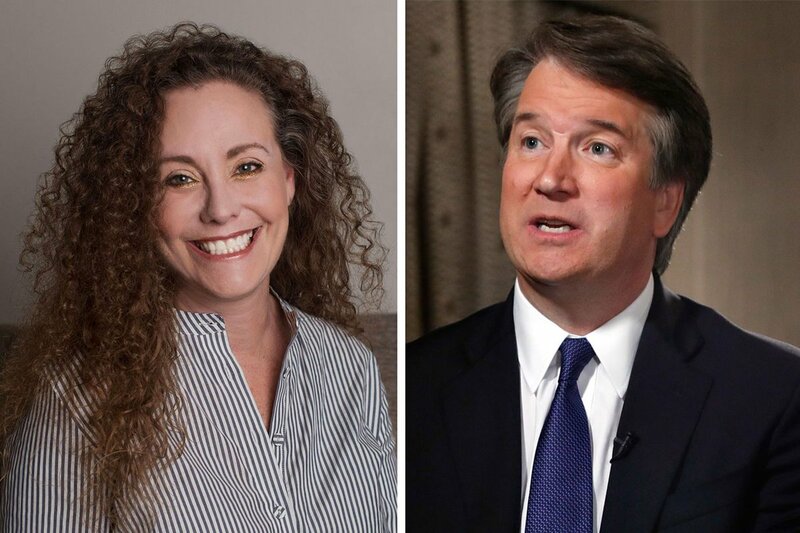 (THREAD) It's time to separate fact from fiction as to the third Kavanaugh accuser, Julie Swetnick—whose allegations are complex and controversial. This thread incorporates (see the first two tweets in the thread) my threads on Ramirez and Ford. I hope you'll read on and retweet. 1/ Two days ago, I wrote a thread on Dr. Ford's allegations against Kavanaugh, establishing that Republicans had *lied* about the definition of "corroborating evidence" in order to *falsely* claim that Ford's well-corroborated account had no corroboration. 2/ Yesterday, I wrote a thread on Deborah Ramirez's allegations against Kavanaugh, establishing that if, as averred in a breaking news story by NBC, Kavanaugh anticipated Ramirez's allegations *months* before they came out, his entire nomination is a sham. 1.Alexander Kogan a #CambridgeUniversity academic, who orchestrated harvesting #Facebook data, is tied to a #Russian University and had grants for researching into social media networks. 2.Alexander Kogan harvested the data in cooperation with #CambridgeAnalytica. It gave a very inside look into the development which - my blogs aside - had all the warning signs that the project was FUBAR. Prior to that, only The Escapist had come close to doing any sort of research into the project's demise. That Benson article, had hints of how the Star Citizen "prototype" came to be, who helped create it etc. It mentioned how Crytek devs like Sean Tracey, Paul Reindell and Hannes Appell became involved in the project. THREAD: What liability could Facebook or its employees have for illegal Russian contributions made via Facebook? 2/ Since that time, the #1 question I've been asked is whether Facebook or its employees could have their own potential liability.